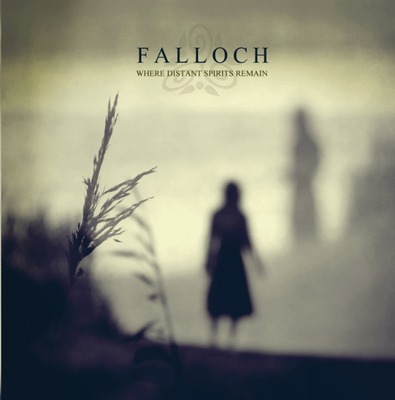 Falloch's new album, "Where Distant Spirits Remain" was first presented to me as an atmospheric ambient metal album. Needless to say, I was confused enough to go listen to a track from the album. What I heard blew me away. The description was more or less accurate, though I would take somewhat of an expetion to calling this band a metal band. The music is mostly keyboard and guitar-based, fusing long, stretched melodies with soulful guitar plucking and the occasional pedal loop effect. Many of the basic power riffs serve to accentuate the atmospherics and to draw in a sense of doom to the music. Additonally, the band employs elements from post rock, folk, and black metal, at times mixing in flutes and strings to deepen the texture of the songs. The vocals are a blend of looping solo clean singing and raw shrieks similar to the style of vocals that many black metal bands use. They are powerful when they need to be and sorrowful when circumstances warrant. Falloch's name was taken from a local landmark called the Falls of Falloch, which is a waterfall in Scotland. Falloch hails from Glasgow. The feelings this album evoke are of melancholic wind brushing over grassy rolling hills. You hear tales of sadness and wonder, and dire fears. In truth it is somewhat difficult to put into words every emotion this album carries. I love it! Great selection sir.